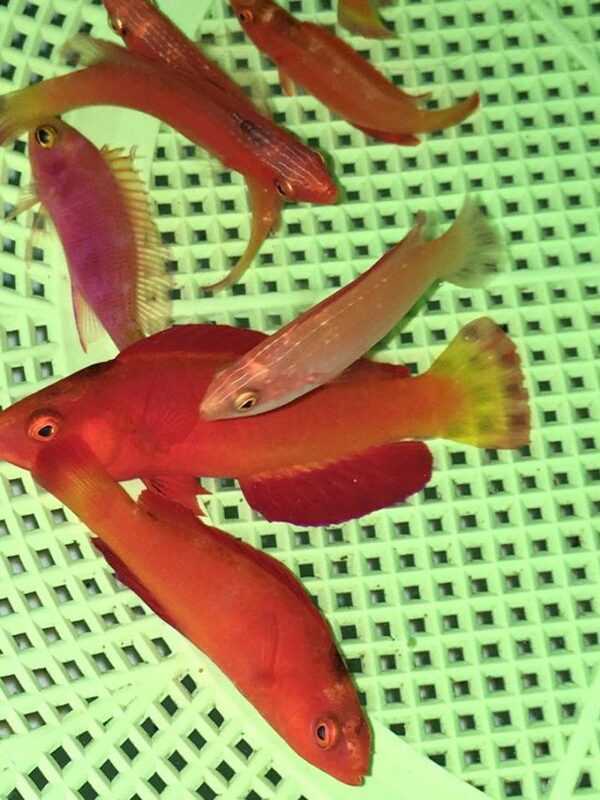 Home / Fish / An Entirely New Fairy Wrasse Was Just Found In The Philippines! Discoveries like the one just made by RVS Fishworld are few and far between. This spectacular red wrasse was just found at Balintang Island in the Northern Philippines in deep, deep water (roughly 200 feet). 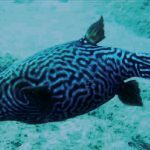 The habitat was a flat, featureless plain of broken rubble and scattered corals, where this fish swam a few feet off the bottom. But, what is it? 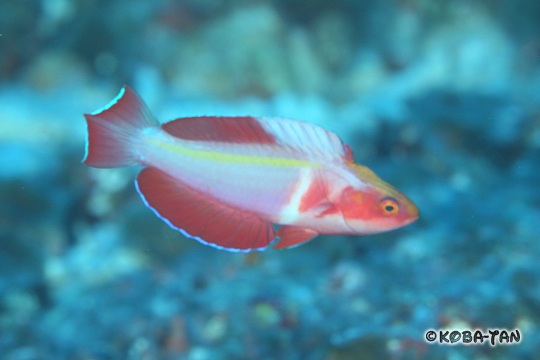 The short pelvic fins and patternless caudal fin put this as a likely member of the Cirrhilabrus lanceolatus group, whose members are well-known for occupying deep reef habitats. Consider C. earlei from Micronesia… C. lanceolatus from Japan… C. claire from Polynesia—all of these are found at depths beyond where most divers venture. And, if we take a quick look at the known distribution for this group, we’ll find a glaring absence in the Mariana Arc, a region with many unique, endemic species. Cirrhilabrus lanceolatus group in the Pacific Ocean. Click to enlarge. 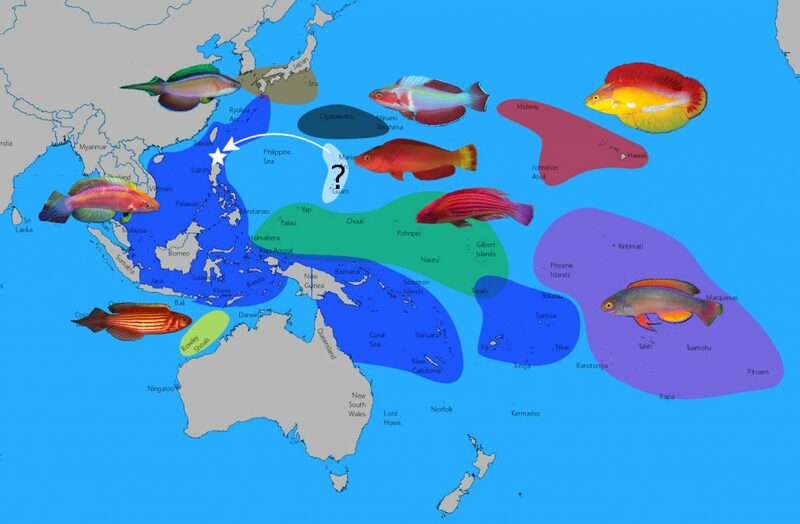 I’ve written quite a bit recently about the many species of Micronesian fishes that have been showing up in the Northern Philippines, which are presumed to be arriving via the Mariana Islands. So it should come as little surprise that this fish (which I’ll provisionally name Cirrhilabrus cf jordani) should turn up there. 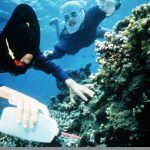 What is a bit surprising is that it hasn’t been found before, as the deeper waters of the Mariana Arc have been reasonably well explored by researchers and recreational divers. 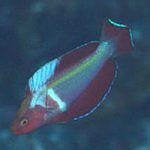 This might also help shed some light on one of the more enigmatic wrasse finds in recent memory—a fish I reported on earlier this year as a possible hybrid from the Ogasawara Islands. 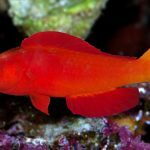 It’s still not clear what that fish might be, but it’s red fins certainly do bear a strong resemblance to this newly discovered relative. 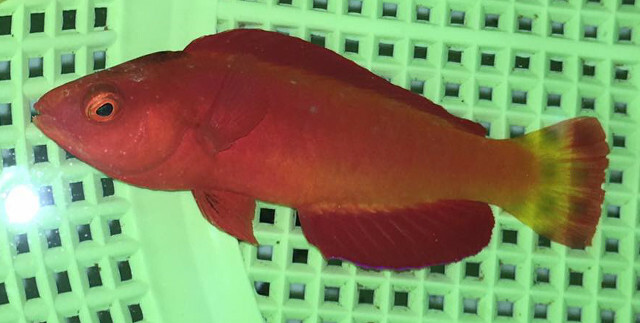 Might the Ogasawara Cirrhilabrus be yet another new species in the lanceolatus group, or is it a hybrid of this new red wrasse found in the Philippines? 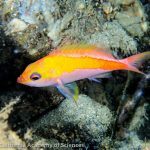 One thing is for sure—it’s been an exciting year for wrasse discoveries. Richard my wrasse fanatic friend. Check this out! Spoken like a true wrasse addict lol.